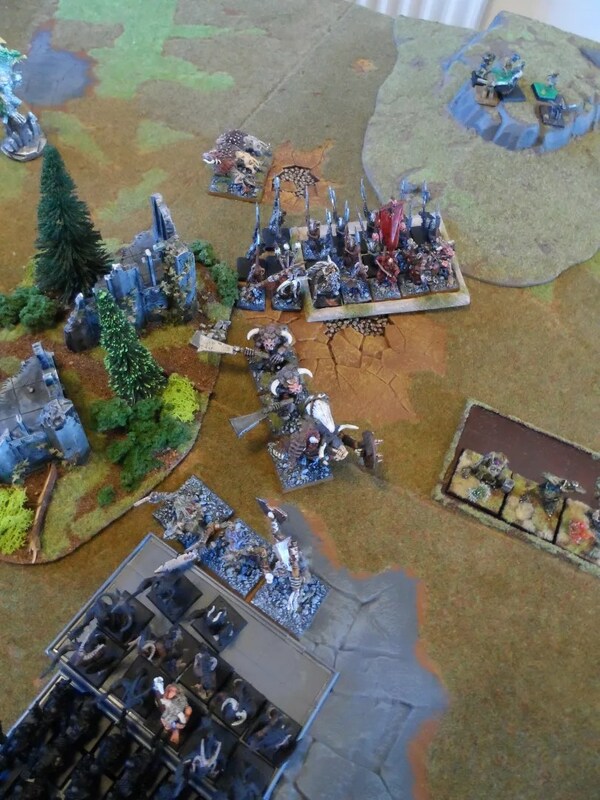 Byakhee Roo, couldn’t make the second day so I stepped in the hustle his remaining beastmen toward the stunties. 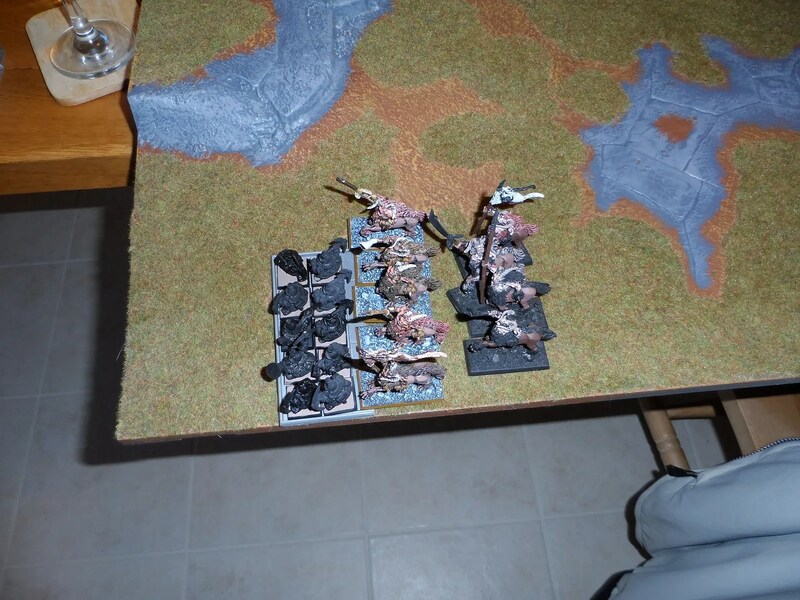 The beastmen were jumbled up and constrained in a narrow space. This proved rather important as rather than hitting the enemy with all the units all at the same time, they were fed in piecemeal. 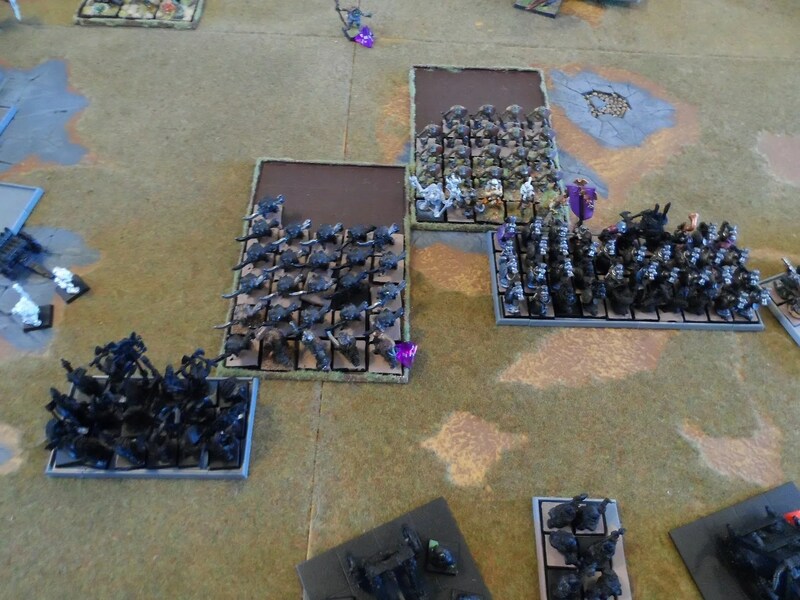 In the middle of the field, the two main Orc regiments were engaged in combat with the stunties. But their flank was crumbling. Yup, nearly 40 Rangererers in your face ! 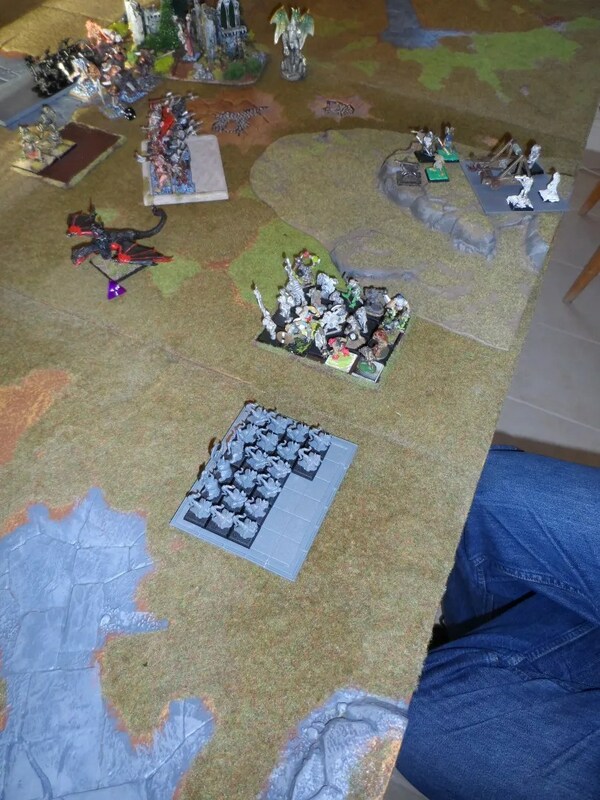 The dwarves saw off the orc General, and killed all but the Ogre champion who was locked in a challenge…for the next two turns…holding up the entire unit ! 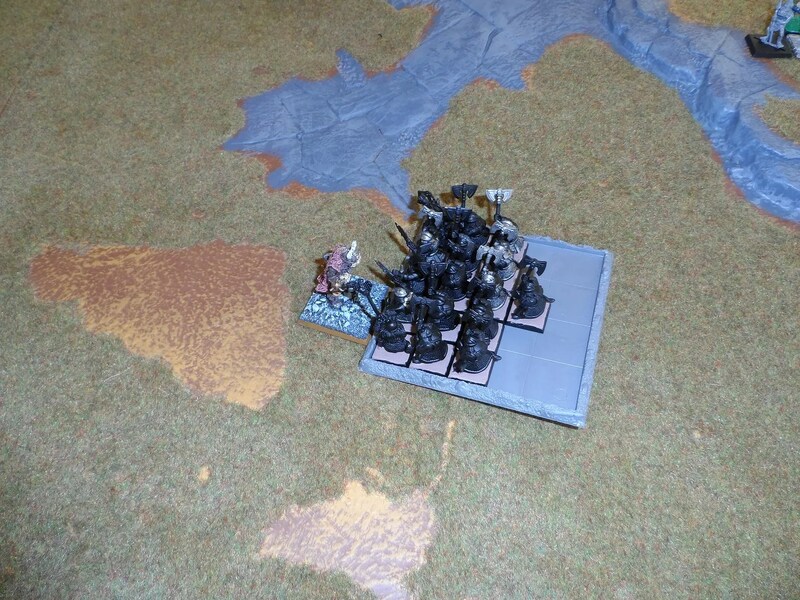 Having defeated Harboth’s, the Dwarf general and his Hammererersers surged forward. 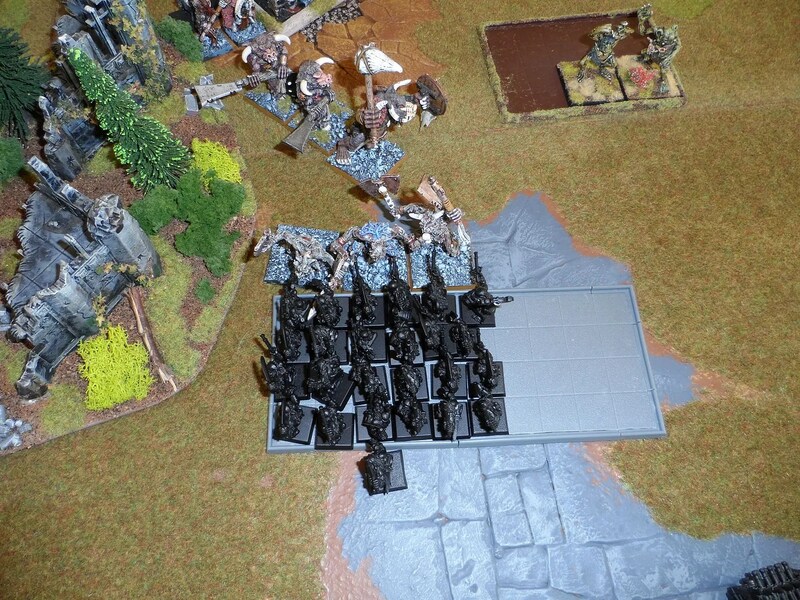 We opted to give the Orcs an additional 500 points of troops (Fyrd, Night Goblins and a stone thrower), and 1000 points to the Dwarves as a stand alone Slayer army from the Storm of Chaos book. 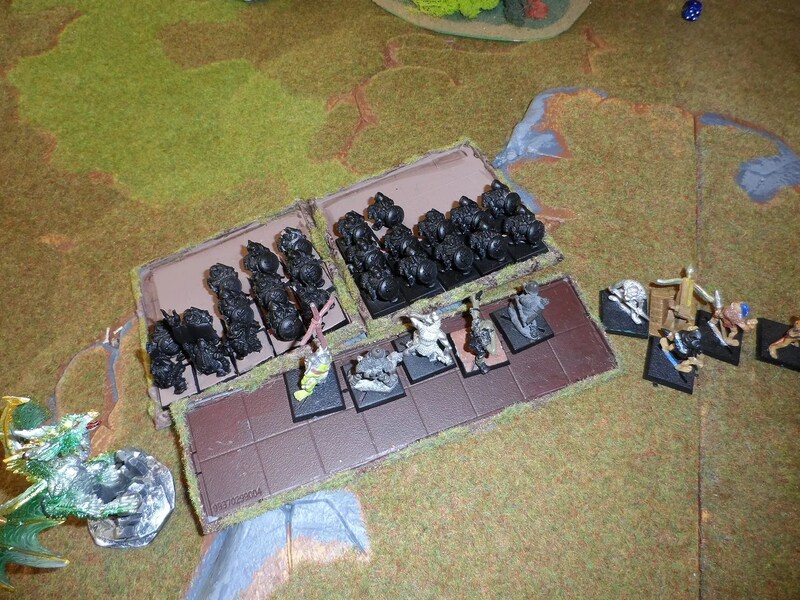 The Black Orcs held out though. 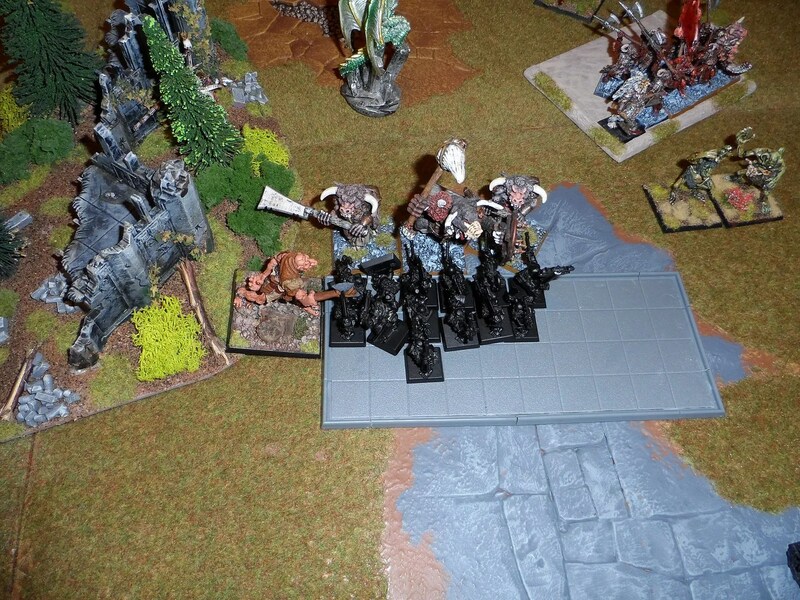 Chaos Trolls waded into the Long Drong Pirate Slayers. The Dwarf Miners having defeated and run down the Gor Ambushers, then got attached by the Centigors who had finally destroyed the Gyrocopter. The Chaos Hounds attacked the organ gun, whose crew fought them off ! 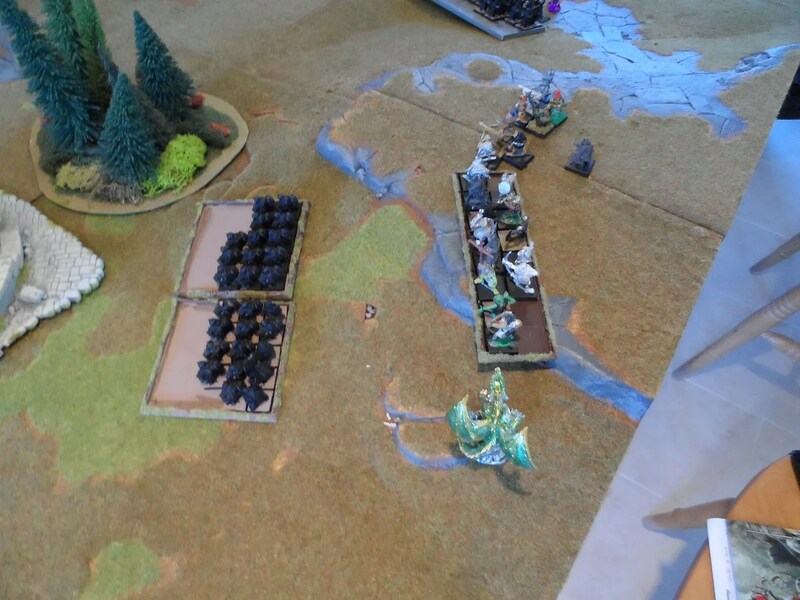 The Giant pinned the pirate slayers with a flank attack, allowing the Minotaurs to steam in once the Chaos Trolls had been defeated. 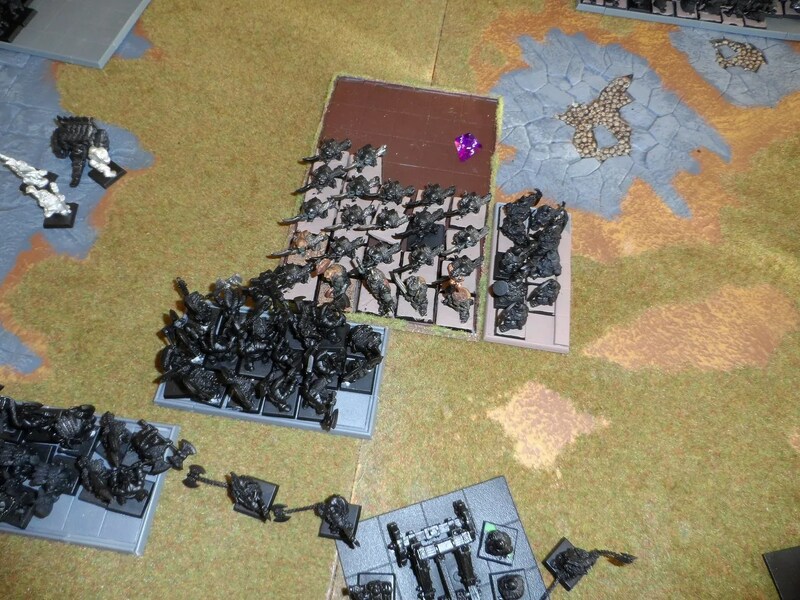 The Night Goblins released their fanatics into the Dwarf Longbeards with predictable results, before the Ogre champion finally succumbed. 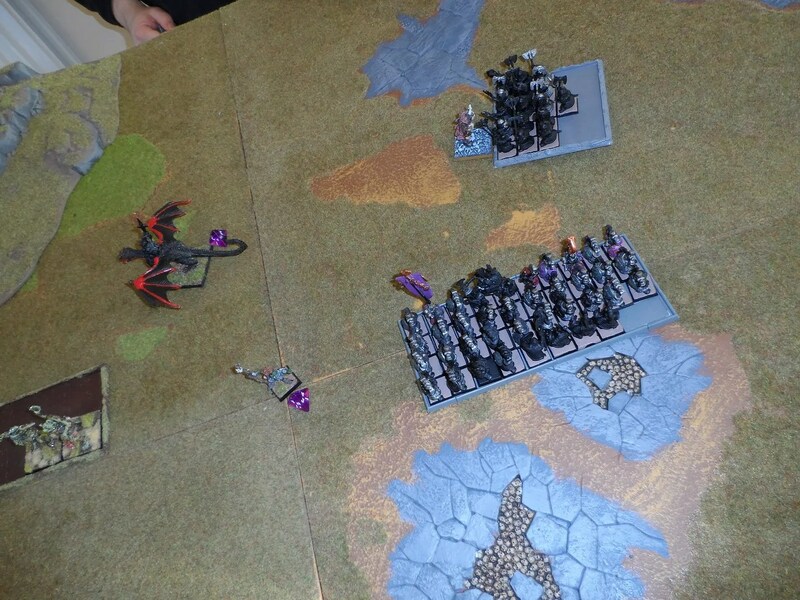 But the Night Goblins were wiped out by the Hammerers. At the end of the game (c6pm Sunday) the Dwarves had won. 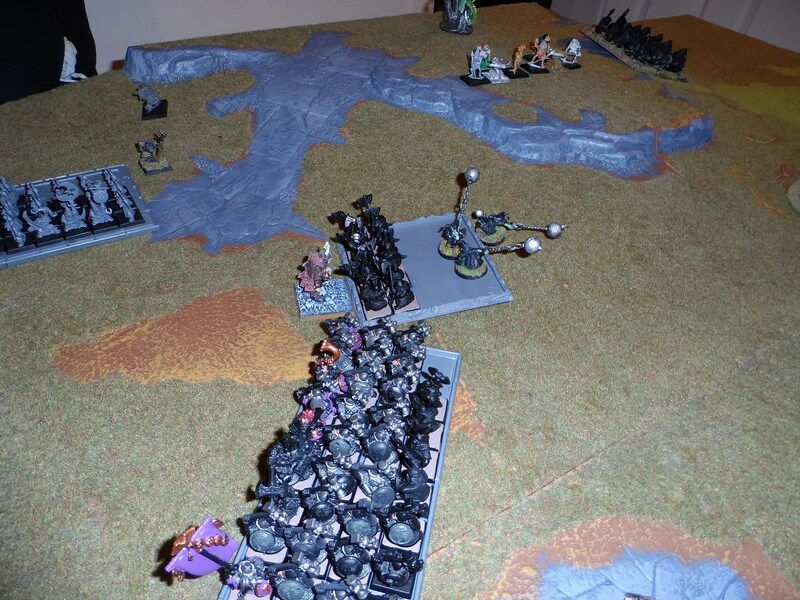 The Beastmen had been constrained due to the scenery and couldn’t get in fast enough, but when they did were very effective. 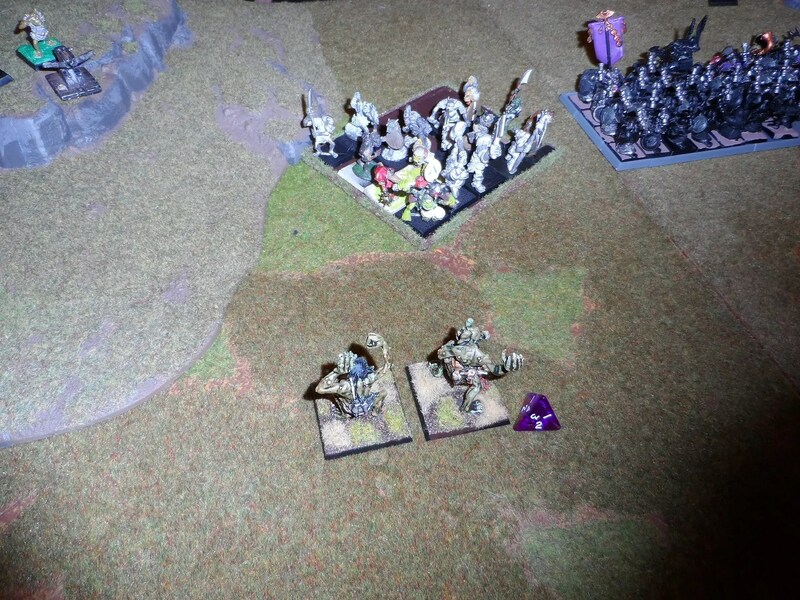 This left the Orcs to take the brunt of the attack. 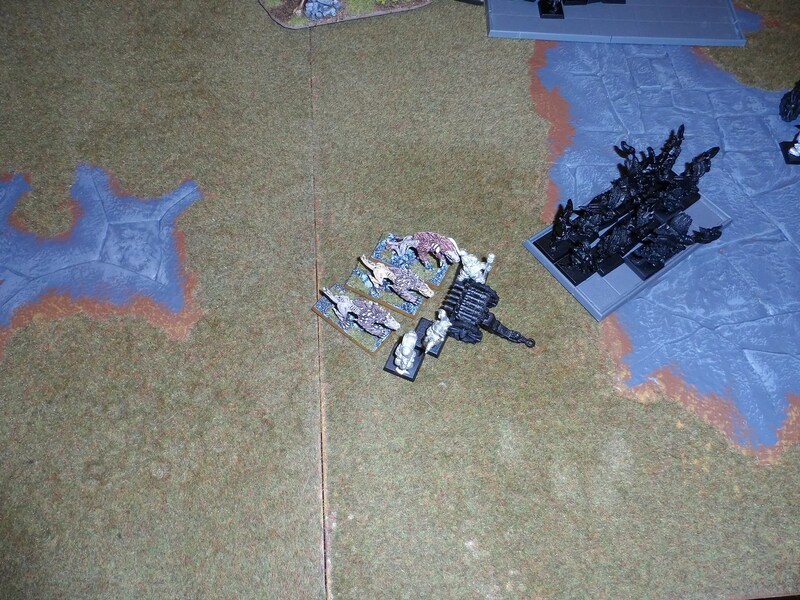 The Gyrocopters caused havoc on the flanks and weren’t picked off quickly enough. 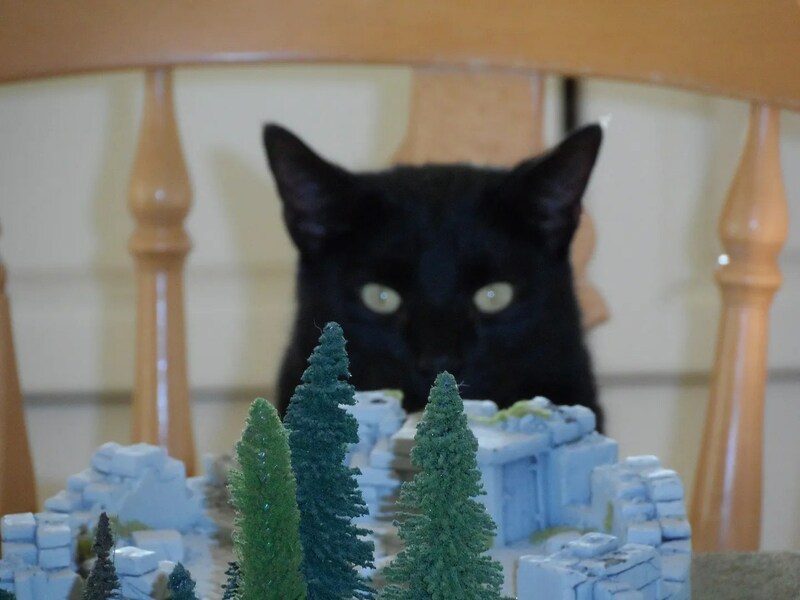 As oveerseen by the feline controller….